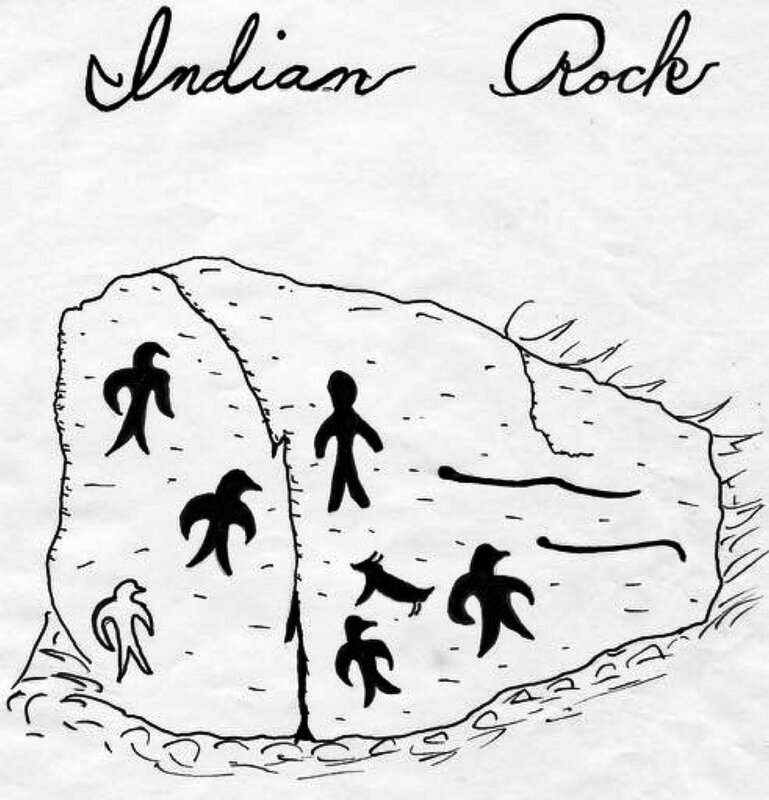 Sketch of “Indian Rock” at the mouth of the West River, by a young Larkin Mead, later a nationally-known sculptor. The Brattleboro Historical Society has begun submitting a regular feature to the local Brattleboro Reformer daily. This week’s column takes a look at the misrepresentation of established Native presence in the state’s long-mythologized history books, and offers some corrections of perspective into the present. I was able to help contribute to this welcome piece by the Society. In 1828 the Brattleboro publishing company of Holbrook and Fessenden produced “A History of Vermont: From Its First Settlement to the Present Time.” It was the first known Vermont History book used in Brattleboro schools. When writing about the “native inhabitants,” author Francis Eastman wrote, “not a vestige of them now remains – gradually the encroachments of the whites have pushed them farther and farther on” to the west and north of the United States and Canada.